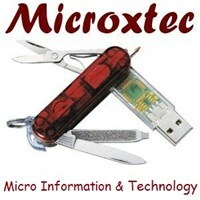 Microxtec - Home Improvements based in Croydon, Surrey. Nowadays, a socio-economic situation is in a strictly exclusive plan where the credibility and experience of the teams at the technical and management level are exclusive factors of extreme importance. Established in June 2009, Microxtec is born out of a desire to fill a gap in the improvement of telecommunications infrastructures. Headquartered in the south of Lisbon, we are committed to a serious, organized and highly professional intervention already demonstrated in the various partnerships in the areas of Informatics, Electricity, Electromechanics, Pneumatics and with the company EDP, Zon and Vodafone in Portugal. Now was started a new expansion in Greater London with the new areas, Refurbishment, Home Automation, Plumbing. Our mission is to provide our customers with the best solutions of market. London, Croydon, Mitcham, Bromley, Wimbledon, Fulham, Battersea, Sutton.